In 2017, the unusually wet cool spring delayed flowering, setting the stage for a later harvest. The summer was hot, followed by a mild September with few days of rain prior to harvest. This refreshed the vines and maintained the balance of the fruit. We started harvesting our fruit on September 19th and we were done harvesting mid-October. The fruit was perfectly ripe with great concentration, complexity and beautiful aromatics. The resulting wines are dark with gorgeous aromas, ripe rich fruit, great structure and aging potential. Some of the best wines I ever made. Delicious! This wine is an incredibly beautiful presentation of what my Estate Vineyard is capable of. 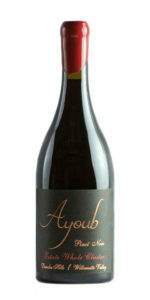 The nose boasts of nutmeg, and holiday mix spice with a medley of red fruits. This wine is silky with a sophisticated focus. The palate is harmonious, laced with red fruit and savory notes with textbook structure, tannin and acidity. This is a beautiful yet powerful wine and it needs time to reveal its full beauty. This of one of the best Estate Wines ever made! Best from 2020 to 2030. This is why Oregon is made for world class Chardonnay. 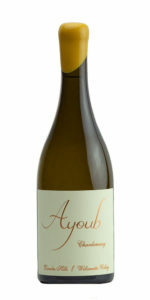 The nose has sentiments of lemon zest, pear, honeycomb and brioche. It’s palate is rich with beautiful acid and minerality creating a perfectly balanced wine that will age for as long as you are patient. Focused, energetic and cellar-worthy. Best from mid-2019 to 2027. Memoirs is my fond personal tribute to my family. This year’s label features a picture of parents at my uncle’s house in the early 70’s. The 2017 Memoirs is a blend of Pinot Noir crafted from all the vineyards I source my fruit from. The nose has incredible aromatics of black cherry, cranberry, graham cracker and allspice. Just from the smell your senses will be provoked. That palate is full bodied with vanilla and black cherry finishing with dusty tannins. This is a flavorful expression of Pinot Noir that has everyone asking for more. It’s a gorgeous & complex wine that is approachable young but will cellar for many years. Best from 2019 to 2030. This is a nuanced and captivating red wine. Very aromatic with violet, rose petal, white pepper and cardamom/cinnamon. Seamless and powerful on the palate, with layers of succulent fruit and spice, incredible energy. The harmonious and very expansive finish showcases the wine great structure and lingers endlessly. This is a gorgeous wine, although tempting to drink now, the longer you can wait to drink it the more rewarding it will be. 100% Whole cluster. Best from 2020 to 2032. Why ??? Vineyards? Simple, I could not put the name of the vineyards on the label. Sourcing from some of the Dundee Hills finest fruit, the wine quality is tremendous. Flavors of Raspberry, strawberry and mandarin orange dominate the nose and roll into the palate. Red fruit dominated mid-palate with velvety texture lends to a juicy wine with incredible balance. This wine will leave your mouth watering for another glass. Best from 2020 to 2028. This is the second release from Anonimo Vineyard, a new vineyard I planted on a great site that I leased in Dundee Hills located near my Estate Vineyard. 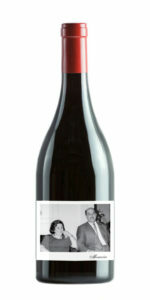 The four acres lot was planted with nine different clones of Pinot Noir which gives this wine it’s beautiful complexity. Captivating nose with chocolate covered cherries, cinnamon, white pepper with a hint of leather and smoke. The palate leads with dark red fruit that is integrated with distinct tannin structure, juicy acidity, accented with mineral and spice. This is a savory expression of Pinot Noir revealing an assortment of flavors that makes for a broad and inspiring tasting experience. This wine was fermented with 18% Whole Cluster. Tempting to drink now but will develop beautifully with time. Best from 2020 to 2030. This is certainly the most fun wine that I make. A blend of Southern Oregon Cabernet Franc, Syrah from Brittan Vineyard and Pinot Noir from my Estate Vineyard. 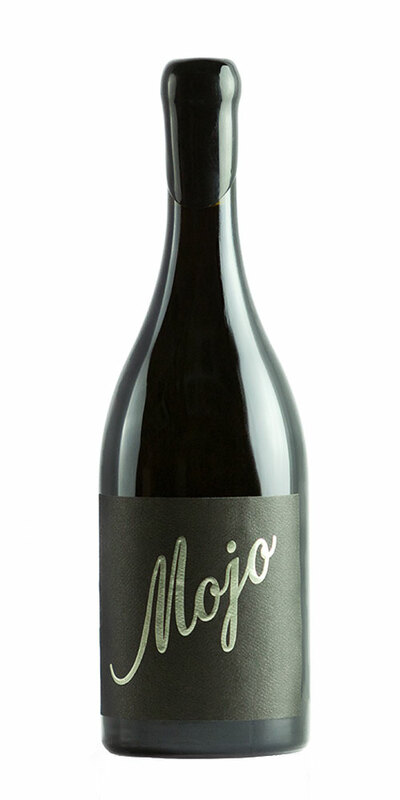 The nose boasts of violet truffles, pepper zest, graphite and blackberry. It has great structure with salty undertones and rustic structure. The finish is persistent, broad and powerful yet harmonious. The silky texture of the Estate Pinot balances the great structure of the Cab Franc. Best from 2020 to 2032.